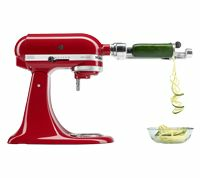 Transform your KitchenAid Stand Mixer into a versatile food grinder that uses the power of the motor to help you tackle a variety of tasks. The coarse grinding plate is great for grinding raw meats for burgers or meatloaf and combining ingredients for homemade salsa, while the fine grinding plate quickly grates hard cheeses and helps you make bread crumbs. To grind meats and dried breads. 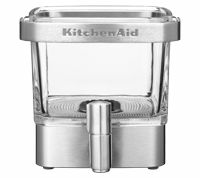 For grinding everything from raw meat for fresh pub burgers to hard bread for bread crumbs. 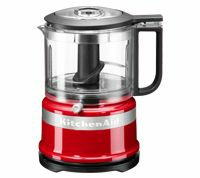 To grind firm fruits, vegetables and cheeses. 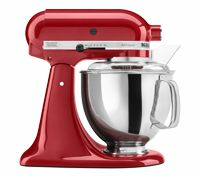 Attaches to your stand mixer's power hub and uses the power of the motor to operate the attachment.